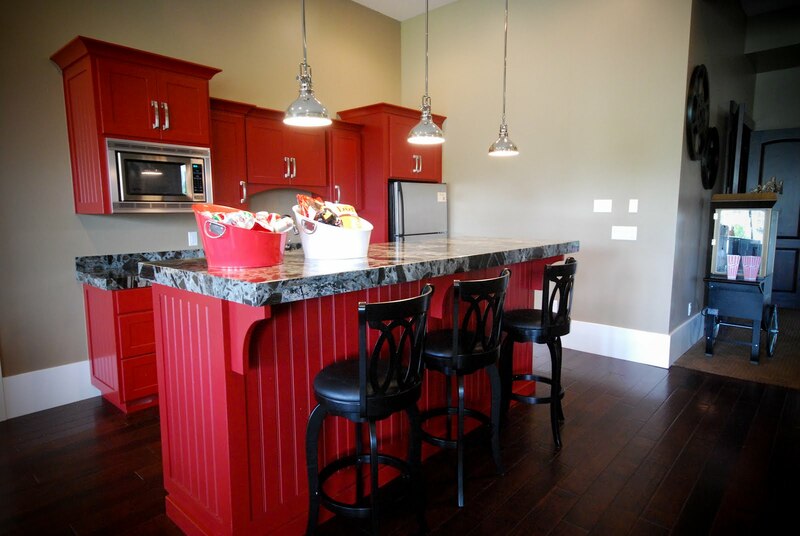 We're continuing on today with the Parade home we've been featuring this week. 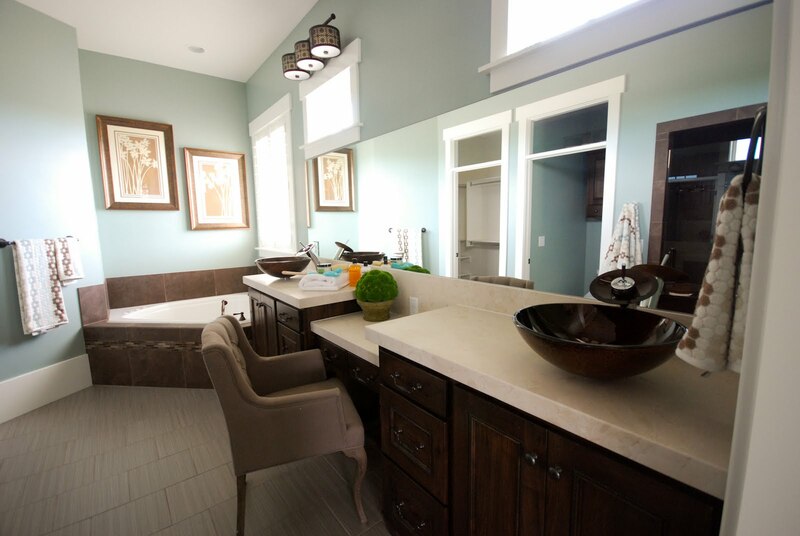 The Utah Valley Parade of Homes is going on now until Saturday, June 18th. We are so excited to be a part of Home #10 built by EBuilders. Here's the Laundry/ Craft Room, Mud Room Desk and Mud Room Bath. 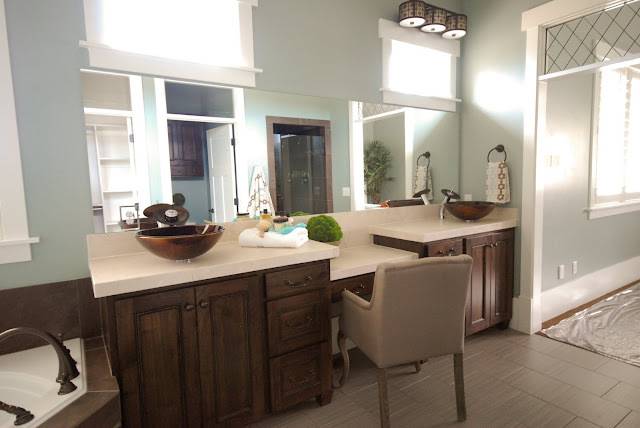 Today we're showing the Master Bath Vanities, the Downstairs Kitchen and the Downstairs Bath. On the Master Bath vanities the customer selected a really pretty slab of Crema Marfil marble. We did a honed (matte) finish on it. 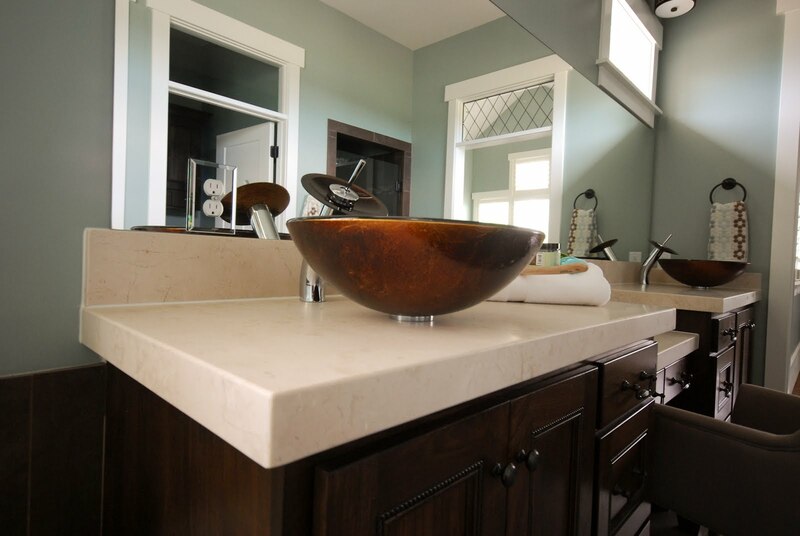 When stone is honed it dulls the color, usually we we will put an enhancing sealer on it to bring the color back out. 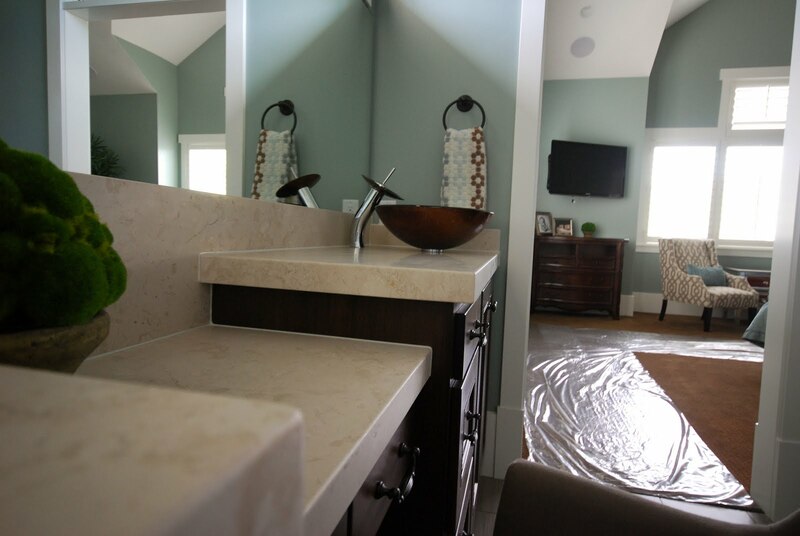 In this case though the homeowner liked that it made the marble lighter and more white. It matched her tile much better. 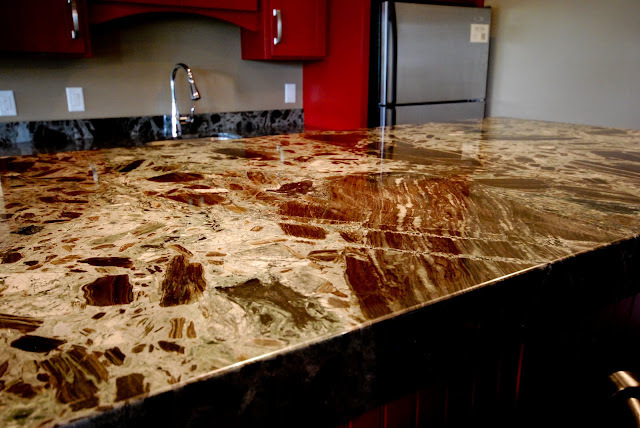 So we honed the marble but just put a regular sealer on it instead of the enhancing sealer. As you can see, it looks beautiful! 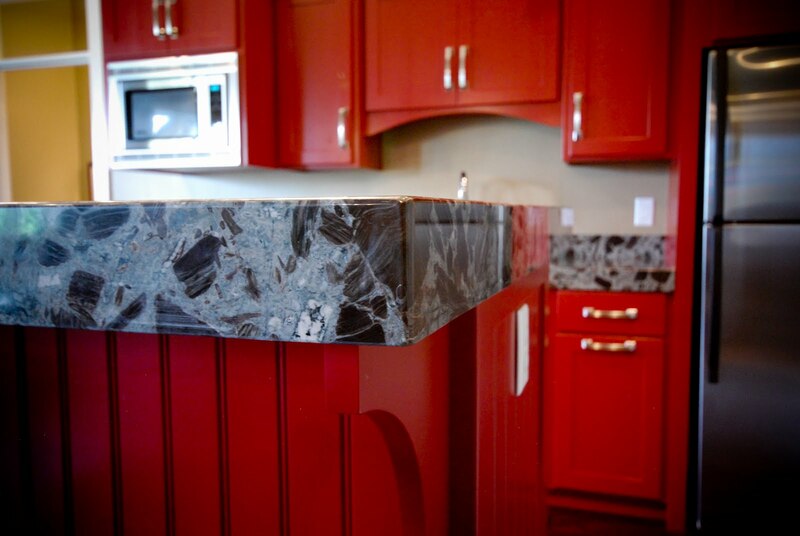 The Crema Marfil slabs came from Italia Granite. The edge detail on the vanities is a 2 1/4" Miter. Notice the backsplash is all one piece. 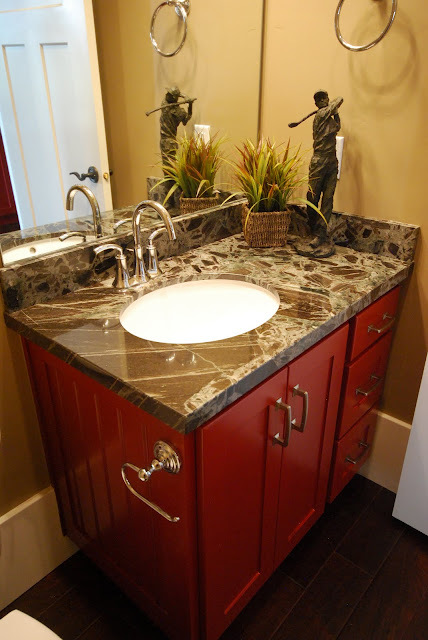 Instead of doing a shorter splash on the lower make-up area of the vanity we made it higher so that it's just a straight line across the top. I really like how it looks all done in one piece. 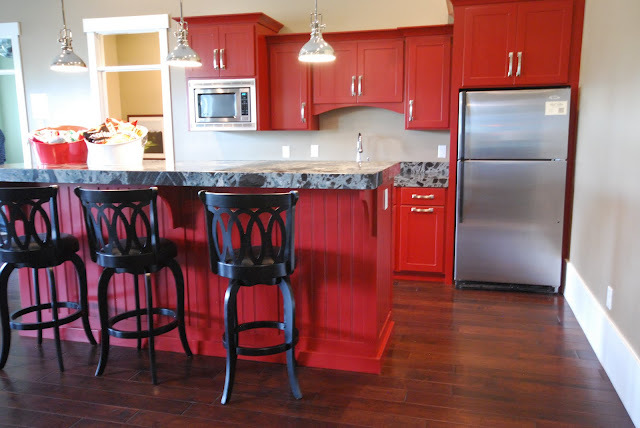 Next is the Downstairs Kitchen. This is right next to their theater room. The granite they selected is called Molokai and we purchased it from Contempo Tile. 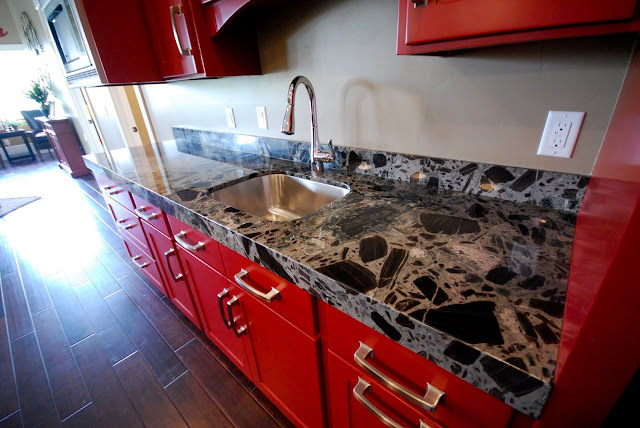 The Molokai is a really unique granite. While we were working on this in our shop we had so many customers just stop and stare at it. A lot of people thought it was petrified wood. It does have that look. The edge detail is a 3" Miter. Last for today is the Downstairs Bath, this is right next to the Downstairs Kitchen so they used the same granite, Molokai. The edge detail is a 1 1/2" Miter. Make sure to come back tomorrow! I'll be showing the last few areas of this beautiful home. I like how the Cream Marfil is more white when it's honed and not sealer enhanced. That kitchen granite is way cool. It seriously does look like petrified wood. Wish I were in utah! I'd go see it in real life!